Excellent advice from one who has. Rule number two in this list of ten commandments goes beyond the needed snark (and the first principle, which might be called the Tao of science: the only way to achieve Nobelity is not to strive for it). This second principle actually says something dead on point on where discovery happens, in an argument that I think bears on much beyond science itself. It requires that the prize-aspirant should “hope that your experiments fail occasionally.” Why? There are usually two main reasons why experiments fail. Very often, it is because you screwed up in the design by not thinking hard enough about it ahead of time. Perhaps more often, it is because you were not careful enough in mixing the reagents (I always ask students if they spat in the tube or, more recently, were texting when they were labeling their tubes). Sometimes, you are not careful enough in performing the analytics (did you put the thermometer in upside down, as I once witnessed from a medical student whose name now appears on my list of doctors who I won’t allow to teat me even if I’m dying?). These problems are the easiest to deal with by always taking great care in designing and executing experiments. If they still fail, then do them over again! But the more interesting reason that experiments fail is because nature is trying to tell you that the axioms on which you based the experiment are wrong. This means the dogma in the field is wrong (often the case with dogma). If you are lucky, as I was, then the dogma will be seriously wrong, and you can design more experiments to find out why. If you are really lucky, then you will stumble onto something big enough to be prizeworthy. 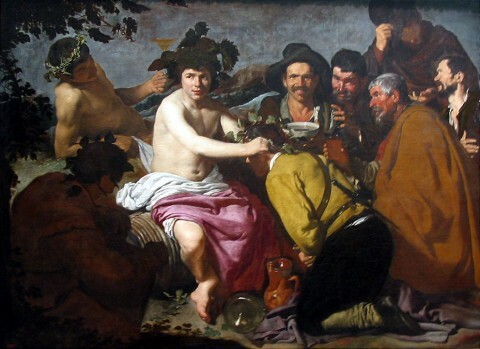 Image: Diego Velasquez, The Drunkards, or the Triumph of Bacchus, 1629. Most scary: the seeming universal nature of hipster affect. And, with that….top of the day to you all. Just a bit of Monday silliness before diving back into the struggle. Since the problem was rather small—larger data set are being prepared to be run at the supercomputing facilities provided by the National Center for Supercomputing Applications—we run the ten-fold cross-validation runs in a 3GHz dual core Pentium box with 2 GB of rum. I’m not sure just how looped my computer could get on the mojitos to be made out of 2GB of Captain Morgan’s, nor do I hope to find out. Depressingly serious stuff to resume shortly. Spend a minute with your hand on a hot stove, and it feels like an hour. Spend an hour with a pretty girl, and it feels like a minute. That’s relativity! Hidden within relativity, if not the joke, is the insight derived from Einstein’s analysis of the relativity of simultanaeity. Think the famous lighting/train thought experiment. 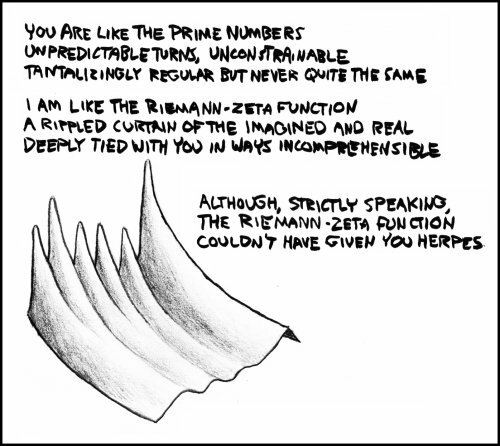 Now comes xkcd’s reanalysis of the concept, to which, this being a family blog, I will link, and not embed. With thanks, as always to xkcd, in whose head it must be passing strange, (though fun) to live.